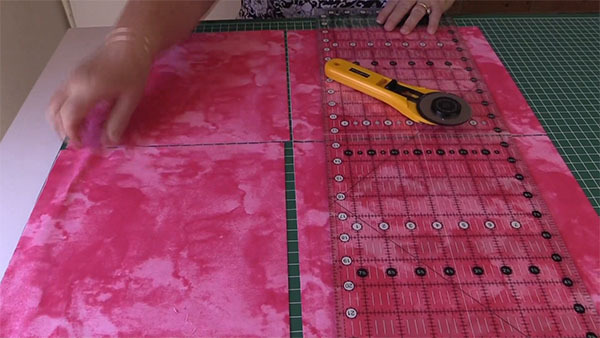 In this tutorial, we will be showing you how to cut your own 10″ Layer Cake squares for your quilting projects. We love pre-cuts! They save time and you don’t have to worry about coordinating fabrics, as it is all done for you. However, they can be expensive, and there are those times when you just can’t find the exact fabric you want for a particular project. This is where cutting your own layer cake squares comes into play and it’s pretty easy to do. We started with a half yard of fabric (which is .45 of a metre). 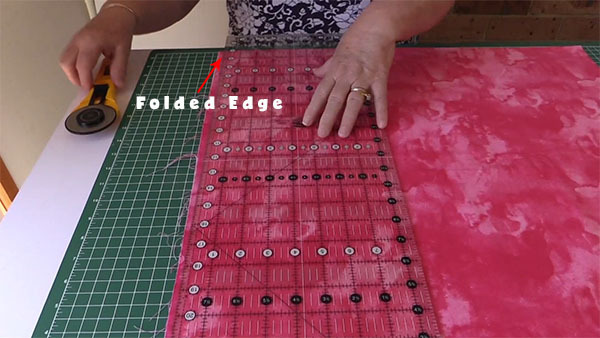 The first step is to straighten one edge of the fabric, so lay the fabric on the table with the folded end facing towards you and the selvedge end facing away. Line up one of the lines on your ruler along the folded edge. Trim the edge to straighten it. 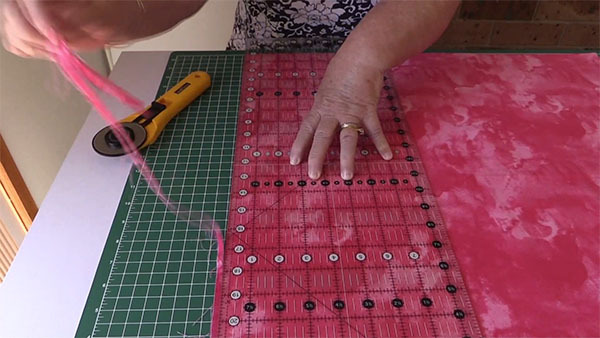 If you are left handed turn the fabric so that it is in the position that is most comfortable for you to cut. 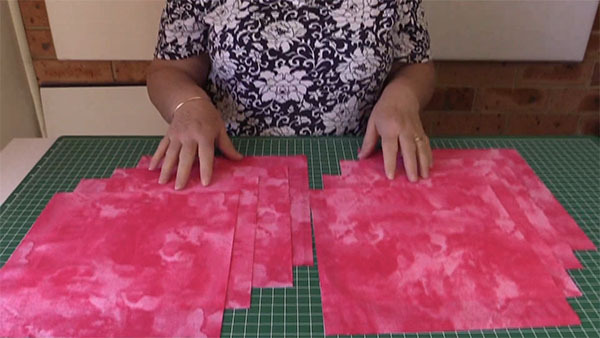 Once you have trimmed off the selvedges, turn the fabric around so that the folded side is facing towards you. Line up the fabric along the zero line on the mat. Place your ruler on the 10″ line. Make sure that one of the lines on your ruler is lined up along the folded edge. 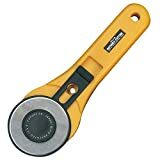 Slice through with your rotary cutter. Move the piece you have just cut aside. 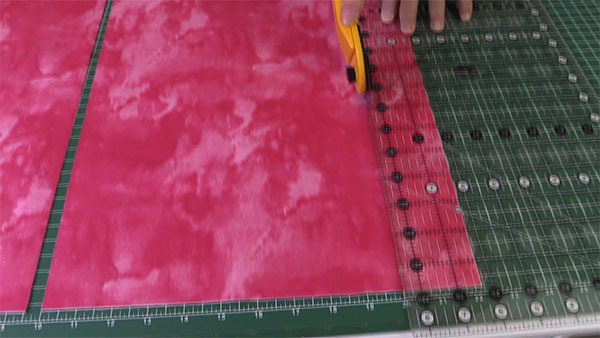 Move the ruler to the 20″ mark and cut the next 10″ square. You now have two strips that are 10″ in width. 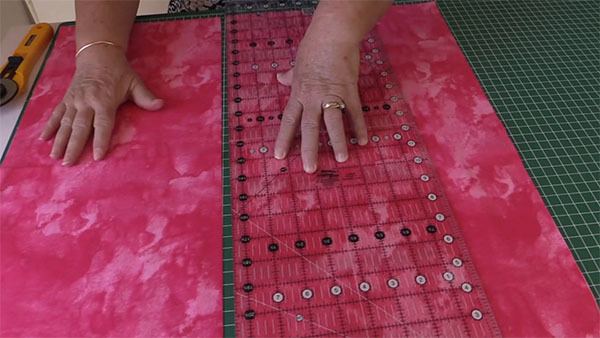 Turn the strips around so that 10″ width is facing you and you are now ready to cut the long strips into 10″ squares. 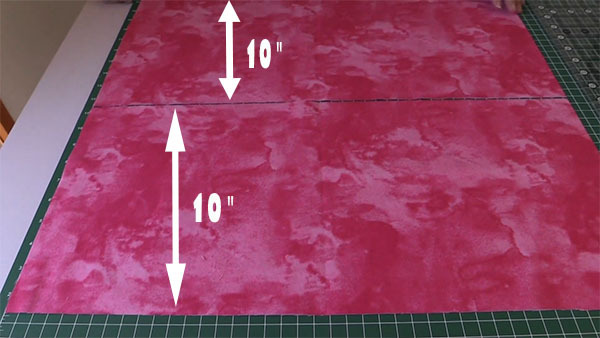 Place the ruler on the 10″ line on your mat and cut. You now have four 10″ squares. 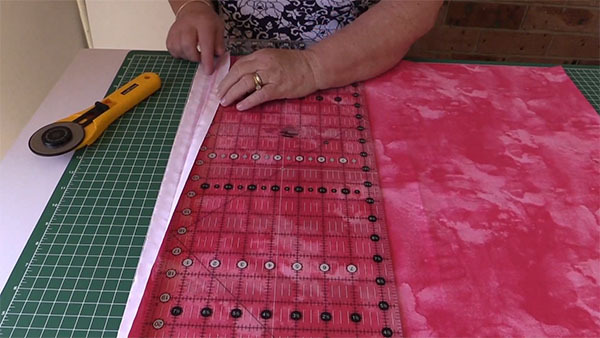 Move the ruler to the 20″ mark and cut. You now have eight 10″ squares. And there you have it that’s how to cut your own 10″ layer cake squares from your yardage. 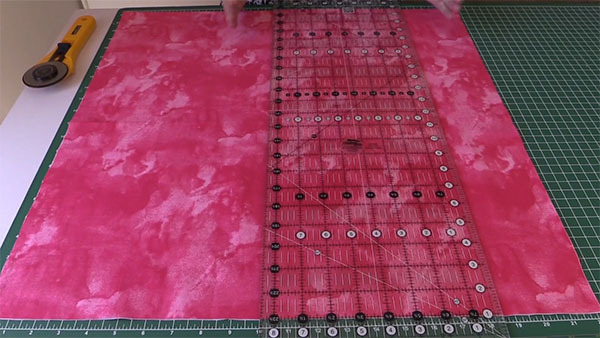 ½ yard of fabric will yield 4 squares. 1 yard of fabric will yield 12 squares.